TORONTO — The Toronto Argonauts confirmed the remaining hires to their coaching staff today by appointing Kevin Eiben , Tommy Condell, Tyron Brackenridge and Mike Archer to posts with the club. Former Argos all-star linebacker Kevin Eiben will take over as Special Teams Coordinator. Condell, who joined the club in a consulting role in February, will take over as the club’s receivers coach while Brackenridge — who is one year removed from his playing days in Saskatchewan — will serve as the Defensive Backs Coach and Archer the Linebackers coach. The aforementioned hires are the latest in what has been a very busy month for new head coach Marc Trestman who recently retained Marcus Brady as his offensive coordinator and brought former Riders head coach Corey Chamblin on board as the team’s Defensive Coordinator. A stalwart outside linebacker for 11 seasons with Toronto, Eiben was a perennial all-star and one of the most productive defenders in Argonauts’ history during his time with the Boatmen. He helped lead Toronto to a Grey Cup title in 2004 before finishing his career with a lone season in Hamilton in 2012. After retiring a season later he joined the staff of the University of Toronto as Defensive Coordinator. Condell was brought to the CFL by Hamilton head coach Kent Austin after their days at Cornell. In a pair of seasons with the Tiger-Cats as Offensive Coordinator he helped lead one of the most productive and balanced attacks in the CFL. 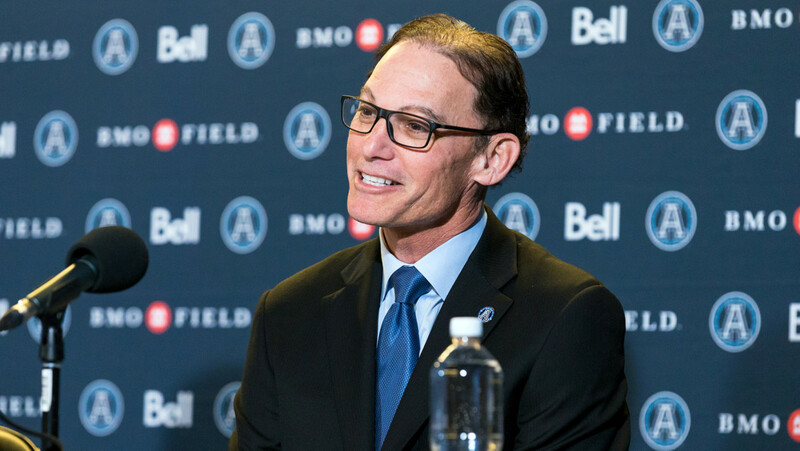 Earlier this year he joined the Argos as a consultant to help them through the transition period before Trestman’s hiring. Archer joins with a significant resume after earning his keep as the head coach of LSU from 1987 – 1990. He also spent six years as the assistant head coach and defensive coordinator with the Pittsburgh Steelers (1996 – 2002). Brackenridge spent five seasons as a starting linebacker and safety from 2011 – 2015 with the Saskatchewan Roughriders before retiring last year. In 2013, he helped the Riders capture the 101st Grey Cup at home while under the leadership of then-head coach Chamblin.